If you stumbled at this website, hoping to find some easy-to-sew patterns and tutorials for fashion doll clothes, let me say that you’ve come to the right place! Should you decide this halter dress is still too difficult for your basic sewing level, please consider following ChellyWood.com, as I hope to post a whole series on how to sew the very simplest doll clothes patterns ever. 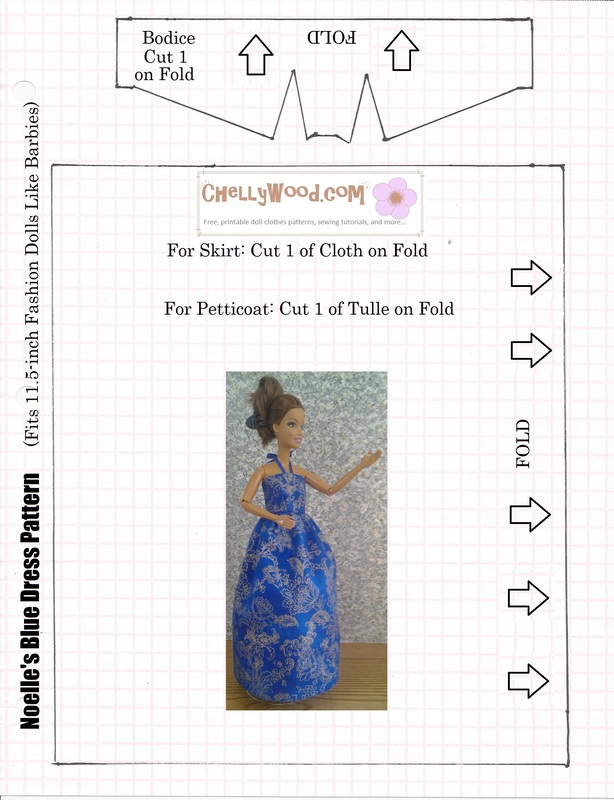 These patterns and tutorials will be created with young children in mind, so even very small kids can easily learn how to sew for their dolls. In fact, for those of you who regularly follow my blog, you may be wondering why I’m re-posting old news. I’m currently working on those easy-peasy sewing tutorials over the summer months while I’m on vacation. I’ll return to posting new material when the summer comes to a close. No matter what program I use to view the pattern, the sizing is incorrect. I don’t use a printer for most online patterns, I trace directly from laptop screen. 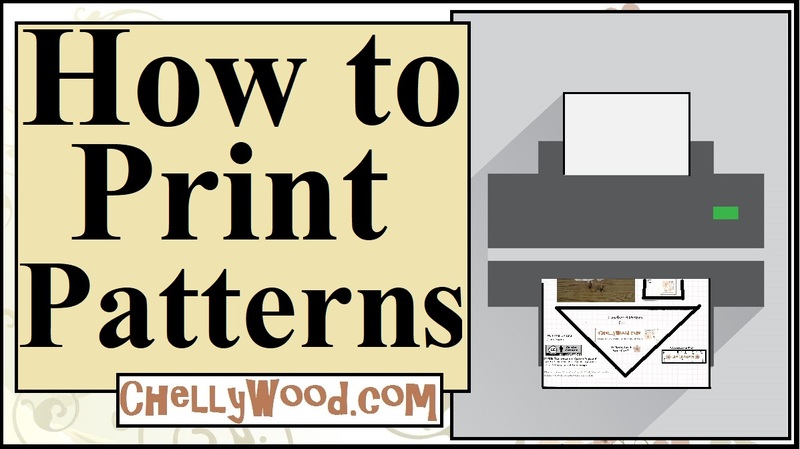 Usually patterns will have a 1 inch measuring scale to assure correct sizing. Without this, there is no true way to know of proper scale. Even clicking on “View actual size” is not in proportion. I hope this helps. It would be really nice if you could use my patterns! Another thing you might try is this: after tracing, find a photocopy machine and fiddle with their enlarge/reduce function until you get the size you want. But it would probably be easier to just go to a public library and print from their computers if you don’t have a printer of your own. I have a printer, but I find that by tracing & using parchment paper and the ability to custom zoom is a lot easier and cheaper than printing out…that way I can resize for dolls with slight variations. Being able to change the % isn’t the problem, especially when I have an accurate measurement to begin with or a pattern is posted online in correct “actual size”..but on yours, there is nothing to go by & when I click on “actual size”, it definitely isn’t correct for any of the various Barbie size dolls. Thank you for providing these great patterns! I used to sew clothes for my Barbie’s with my Grandmother, she never used a pattern as she was a professional tailor. She’s not around to help me sew for my daughter. This is almost like having her there though. Thank you!!! Awww… Cristi, thank you for sayng so. My grandmother inspired my passion for sewing too. This is one of the kindest things anyone has ever said in the comments! So nice of you!